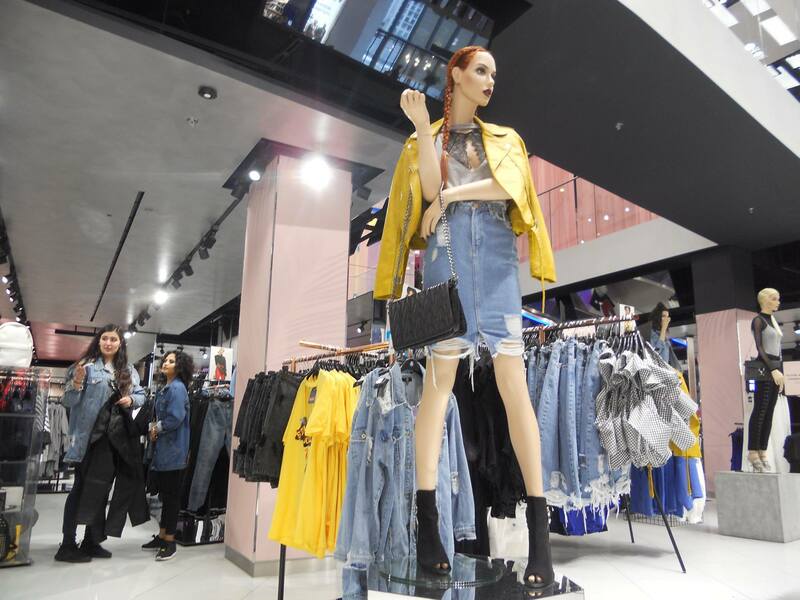 Born and bred online, young fashion retailer Missguided is now cutting its terrestrial teeth as it continues to roll out its physical flagship stores to major shopping centres in the UK. Full of attitude, high on fashion and riding a dynamic rollercoaster the task in hand was always to translate this successful e-commerce formula into real stores considering their limitations of space, product availabilities and operational restrictions. In reality the stores do exude all the brand energy and then some, with a bright and brash environment, a heavy emphasis on visual merchandising and mannequins, digital screens of all sizes and content dynamics and a novel way to segment and display the assortment adding clarity to what could easily be chaos. The physical space is designed around fashion rooms, circular in shape with several entrances and defined by high floor fixtures for capacity, visibility and space definition. Each room has a carefully conceived collection, a specific fashion position and end use from trendy party wear to classic prom head-turners, constantly evolving but always coordinated within colour, style and taste. In each room the proposition is brought to life through a central display using combinations of mannequins and screens to tell the key story and to promote the essential looks. Sometimes a silhouette, a commercial category or simple a hero line in several designs, the boldness of this focal point feeds the fashion appetite of a teenage clientele whilst helping them navigate through this high-octane adventure. 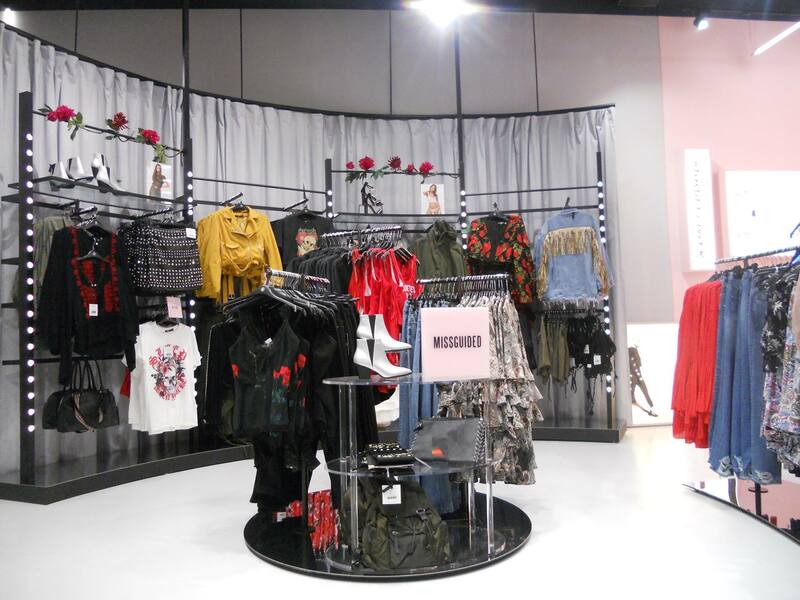 Missguided is literally breaking down some of the traditional physical store barriers with the adoption of its circular spaces and clever and innovative combinations of traditional mannequins and digital technology. A new kid with a wise commercial head, traditionally delivered to your doorstep but increasingly to a physical store within your fashion range. The physical shopping experience is continually evolving with the influence of new retailers from online giving a new perspective on what customers want from stores, adding energy and innovation to the world of store design and visual merchandising. Is your customer bored with your existing retail experience? Are you missing the opportunity to develop your assortment display into something more exciting and entertaining? Let VM-unleashed help you realise your new horizons…we have experience in helping you define your commercial strategies as well as delivering physical brand experiences. Hello,I check your blog named “MissGuided: Heat Seeking Fashion -” like every week.Your humoristic style is awesome, keep it up! And you can look our website about fast proxy list.